How you play when approaching the money depends on your goals and aspirations and depends on what you actually want out of the tournament. In most tournaments you will recognise a shift in play as you approach the bubble as the natural behaviour of players is to tighten up because they do not want to be eliminated and receive no money. Once past the bubble the relief sets in and the play loosens up again (quite dramatically sometimes!). When I first started playing freezeout tournaments I found I could make the money fairly consistently by playing ABC poker. Wait for big hands, showdown the best hand and indeed I still play that way today although these days I tend to make far bigger cashes far more often than I used to – so what changed? Firstly I became a believer. A new poker religion absorbed me into it’s conciousness. I became a firm believer in what my opponents were telling me. If they were telling me my J-J was beat on an A-K-Q flop I believed them and folded. I stopped trying to bluff. In a tournament everyone is waiting for good hands to play and bluffing is not a good idea. More frequently I bust out to bad beats these days than because I had the worst of it going into the flop. Secondly I realised that whilst making the money meant I had come a long way as a poker player, making the big money needed a different approach. in 2005 I had a number of small and insignificant cashes until by chance, whilst playing under the influence I made an £800 cash for third. Despite the fact that I was just playing that tournament for a bit of fun after a few drinks I probably learnt one of the most valuable lessons of my poker career. I realised that by not being afraid to get aggressive at certain stages of the tournament I could control the action and opponents were literally just giving their chips to me without a fight. One of these such moments is approaching the bubble. A couple of weeks ago I won the £10k Guaranteed on Blue SQ for £2k and then cashed the next night for another £700. Last night I cashed for $550 in a $10 tournament coming third. I’m not trying to boast about my recent form, but point out that in each of these tournaments I significantly increased my chip stack around the time of the bubble, while everyone else was trying to scrape into the money, I was being aggressive and putting myself and my chip stack into a position to actually win the tournament. Most poker players are described as either Loose Passive or Tight Aggressive and lot’s of others in between. All players are characterised into these boxes but you need to be a mixture of all styles to be a good tournament player. You need to be able to change gears, and styles whenever in order to exploit the situation of the tournament at that particular stage or moment. I believe the best type of tournament player is a player who can ‘shift gears’ at any time during the course of a tournament. One who can get a feel for the table he/she is at and adjust their play accordingly. You can get that feeling online as well just by the way the other players bet, how long they take to act and their actions on previous hands. That’s why its important early in the match, when you are folding a lot, to keep your eyes on the table and be mindful of what is going on in pots you are not involved in. Its here you are building a database of information on your opponents that if they are lucky enough to survive to the late stages then you are going to use to exploit their weakness and avoid their strengths. On the bubble you must be aggressive because there is so much dead money in the pot that other players often just don’t have the fight to try and claim, they are more interested in folding their way into the money. If you notice this on your table then you should be taking advantage of it. However taking advantage of it, is different to playing recklessly If you just use blind aggression every hand, then it is going to be obvious to your opponents and someone is going to stand up to you eventually. You should be playing hands in position. You can extend your hand range a little, and play a lot more from late position and late-middle position. I would stick to premium hands in early position just because you have no idea if someone is going to wake up with a big hand behind you with so many players still left to act after you. Make sure you are the first into a pot and make a strong raise before the flop. Hopefully you can just pick up the blinds there and then and at this stage the blinds will add significantly to your stack. If you are called, then make a strong continuation bet after the flop of 1/2 to 3/4 of the pot. Most of the time again an opponent will back down after the flop if they haven’t hit or are not confident (especially near the bubble). If you meet any resistance or strength from your opponent, then just fold and wait for the next opportunity. Your chip stack will play a part as well, if you are a short stack then really your only move is all in before the flop. This is actually a good move around the bubble, as you are getting maximum fold equity and picking up 2 or 3 sets of blinds each orbit can soon lift you out of short stack status. With a short stack, I would be making sure I am playing in late position, I want to see as many people as possible fold and tell me they don’t have a premium hand, before I shove all in and risk my tournament life. If you have a short stack you cannot afford to just sit there and wait for the bubble to burst. It’s time to shift gears and start pushing with reasonable hands in position on the bubble. Its easy to say “don’t play a lot of pots” but if you’re the short stack the blinds will eat away at your stack (or what’s left of it) and you will eventually be forced to play a hand you do not want to with little to no fold equity. The bubble can last for a long time in some tournaments (the longer the better in my opinion!). 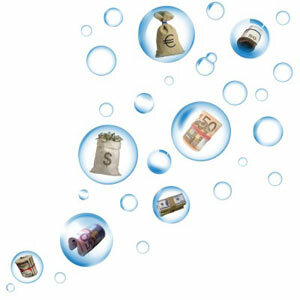 Average and Big stacks should be in full flow during the bubble period. Aggression, Aggression, Aggression. If you are a big stack you want to be a clear chip leader by the end of the bubble period. If you are an average stack then you want to be up there with the chip leaders by the end of the bubble period. If you are just starting out as a tournament player then making the money consistently is a good goal to aim for. After a while however you realise that it’s actually quite easy to make the money, but its not actually that profitable. All you get is a very small return on your original buy in for a number of hours work. Making the big cashes, the big bankroll building cashes, the type of cashes that can equal a months salary is not so easy and takes strategy and flexibility. A good tournament player is only happy making the final table. Making the money does not matter to the tournament player. Making the final table is what matters and winning is the goal. Once you have broken the ice and taken down a large tournament you realise that you can do it again – and again – and again. If you are going to play tournaments then learn to play like a tournament player would and making the money will not affect how you play the game.